£1.9 million has been awarded to 17 businesses from Cornwall to Gloucestershire, through the South West Growth Fund. The successful firms, ranging from food and drink manufacturers to aerospace companies, are the first to benefit from the new fund, which was launched last year by Plymouth University’s GAIN team, SWMAS Ltd, South West Water Business Services and the Western Morning News. Supported by the Regional Growth Fund, the £8.7 million South West Growth Fund supports transformational projects in businesses, primarily in manufacturing, marine and digital industries and is set to create 1,000 new jobs. The first grants will deliver 250 new jobs for the region and have secured a future in the South West for Dartmouth Foods – a major employer that was planning to relocate to the South East but will instead double its workforce in Devon. Cornwall will benefit from 19 high level research and development jobs at Allen & Heath, creator of audio mixing systems, as well as the expansion of fast-growth ISO Spaces into a new factory. Eligible manufacturing businesses can access expert advice from SWMAS Ltd, whose manufacturing specialists are on hand to provide independent technical knowledge and practical training for staff, helping firms make informed investment decisions and then supporting the deployment of new technologies into their production processes. Each successful business will also receive free water and energy audits provided by South West Water Business Services as a continuation of their mission to help regional businesses be more efficient. A £652,912 investment has secured a future in the South West for Dartmouth Foods. 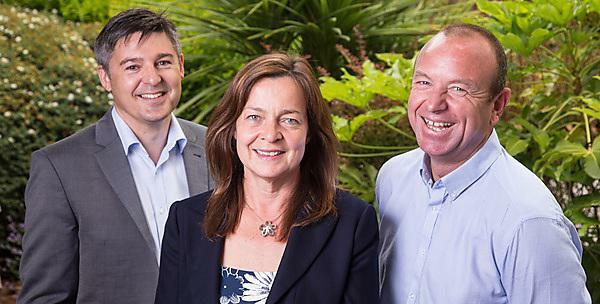 The grant, from the South West Growth Fund, is enabling the family business to relocate to bigger, modern premises at Langage Business Park, near Plymouth. The 100-strong firm produces high-end roasted and smoked meats for top retailers, including Marks and Spencer. Moving to nine new units at Langage Business Park will not only give the firm the high quality, modern facility it needs, it will also enable Dartmouth Foods to achieve its aspirations of doubling its workforce over the next three to four years. As well as recruiting more factory staff, the firm will be looking for chefs and technical staff, to help the business to continue to innovate. A £34,000 South West Growth Fund grant is enabling a Cornish business that turns shipping containers into amazing spaces to open a new 10,000-square-foot factory in St Blazey. The move will help ISO Spaces develop its product range and create four new jobs to meet growing demand for its structures. Founded in 2013, ISO Spaces began life producing bespoke, one-off creations for the likes of Jeep, JD Wetherspoon and the BBC. Its pop-up products include bars, cafés, shops, classrooms and offices, and have been used across Europe by leading brands such as Kodak, Ted Baker and Caterpillar. The business is on a steep growth path, having achieved a five-fold increase in turnover in its second year of trading. As well as supporting the move, the funding will enable the firm to create new positions for a graduate designer, a facilities manager and two welder/fabricators. ISO Spaces has plans to grow the team further over the coming months. A £230,695 grant from the South West Growth Fund is helping to create 19 high level research and development (R&D) jobs in Cornwall. Allen & Heath, world-leading designer and manufacturer of audio mixing systems, is transforming its Penryn site to focus on developing new products for the music industry. With a heritage incorporating Genesis, Pink Floyd and The Who, Allen & Heath products have been used by stars like Adele, Pete Tong, Frank Ocean, Morrissey and Rita Ora, as well as installed in clubs, studios, theatres and houses of worship across the globe. Allen & Heath is part of Audiotonix, a UK group of pro audio companies, which also comprises the other leading brands, Calrec and DiGiCo. The South West Growth Fund grant has unlocked an additional £800,000 of private investment, enabling the firm to realise its growth aspirations. With 105 staff currently based at Kernick Industrial Estate, Allen & Heath is embarking on a nine-month programme to turn its manufacturing building into an R&D space. Over the next three years, the firm will recruit 19 new members of staff to establish a centre of excellence for music technology in the South West. A family-run brewery in South Devon is upgrading its operations, to enable a 40 per cent increase in production, thanks to a £15,000 South West Growth Fund grant. Red Rock Brewery in Bishopsteignton has raised £68,000 through peer-to-peer lending to renovate its complex of old farm buildings. Now this additional £15,000 will speed up the works, as well as allowing the business to install an automated bottling facility to speed up production and take on two permanent members of sales and marketing staff. To create more storage space, the brewery is adding a mezzanine floor to its fermentation facility, which is in a 300-year old barn. The existing range of distinctively flavoured real ales now has a series of more edgy craft beers to sit alongside it, including Pilsner, Porter, EPA and Red Ale available in bottles and kegs. The brewery is also working with The World Institute of Slowness to develop four slow beers and is aiming to achieve SALSA accreditation, a food standard that many supermarkets now require. Red Rock Brewery had to pull out of a supply arrangement with one major supermarket, as it was unable to produce enough to meet its demands. The firm still supplies to two others, but has so far been unable to work with them on offers or promotions, due to limited production capacity. By expanding the space and moving away from bottling beers by hand, the brewery now hopes to increase its national sales.